Are you and your crew looking for something different to do on a Friday night? Maybe it’s time to switch up your usual happy hour spot, or maybe you need a special event to get everyone together. If your group loves yoga AND beer, you have a great chance to enjoy both with Yoga at Historic Miller Caves! This will not be your average yoga class or your average happy hour. Yoga at Historic Miller Caves will be taking place Friday, April 5 from 6 p.m. to 9 p.m. The cost for the class is $40, and you can get your tickets through Eventbrite. That cost includes the yoga class, live music, and four beers of your choice after the class is over in MillerCoors Stein Hall. This is going to be a great time to hang out with friends, get some exercise, and unwind after a long work week. The day of the Yoga at Historic Miller Caves class, you want to be sure to arrive 10 to 15 minutes before class starts. 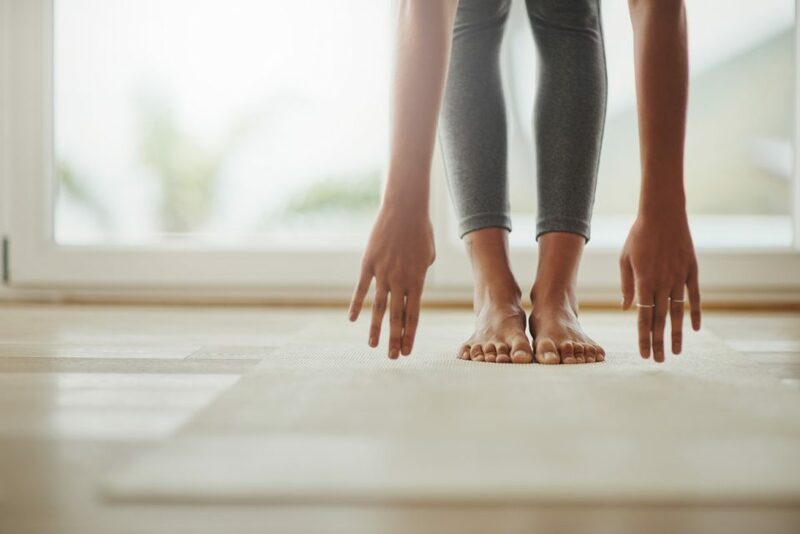 That will give you plenty of time to check in, find a spot, set up, and be ready to start when the yoga class begins at 6 p.m.
For this yoga class, you’ll want to be sure to wear plenty of comfy layers. The outfit that will keep you warm outside in early April might be too bulky or restricting for an indoor yoga class. So be sure to plan for comfort before, during, and after the class when you get dressed. You definitely want to bring your own yoga mat to Yoga at Historic Miller Caves. You’ll also need your own water bottle to make sure you stay hydrated. After all, beer won’t be served until after class is over. If you’d like to use a towel, yoga block, or other props, bring those with you, too! And don’t forget your ID for the happy hour after the yoga class. You’ll want to make sure you and your crew can get to and from Yoga at Historic Miller Caves safely. So be sure you have a designated driver, and make sure they have a safe and comfortable vehicle to drive everyone in. Check out our wide inventory of stylish, reliable vehicles at David Hobbs Honda. Then come in for a test drive. Our friendly staff would love to help you find the perfect vehicle for your life.